Happy Friday & I hope your all having a lovely start to this bank holiday weekend. I wanted to share one of my favourite tans with you. Looking out the window now it looks like our summer is over so what better time to share my top tanning tips & a review on the Moroccan Tan I've been loving for so long. 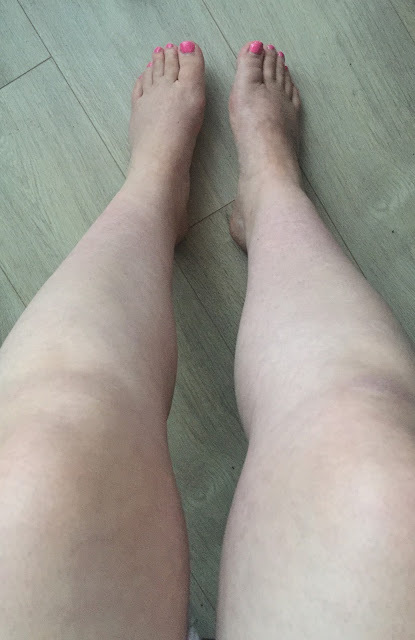 I started using Moroccan tan about 2 years ago, I first received it from the lovely gals at the Publicity Loft and loved it so much I picked up a few bottles at the beauty show. I remember what caught my attention initially was the airbrush spray tan. It wasn't your average airbrush tan bottle, it was very luxurious and the product was much bigger than most Airbrush tans. The first time I tried it I fell in love with the scent, it reminded me of being on holidays. When applying the airbrush tan I spray it directly onto my skin and used a mitt to blend it in evenly. When using the Instant Exotic mousse I apply it onto a mitt then blend it evenly over my body. A word of warning when using the airbrush spray, don't use your mothers best white towels, it tends to have a little over spray so applying it in the backroom on a surface that cleans easily is best :) I love tanning in the shower so I can just rinse the tan away afterward. I love the colour this tan develops too, It's a dark shade but looks very natural & wears off really well. You're not left it patchy tan like with other tans. The exotic mousse is infused with Argan and Rosehip oils and enriched with a blend of vitamins to achieve intense skin nourishment and a longer lasting tan. Keep your skin exfoliated, fake tan sticks to any dry patches on the skin. I always like to use a body scrub or exfoliating gloves prior to tanning and also in between to help the fake tan wear off evenly. Keep your skin moisturised the days after you initially tan. I use a body oil or body butter to keep my skin hydrated and it helps the fake tan to last longer. Make sure you scrub all the old tan off before reapplying. I know its an obvious tip but most people apply tan over old tan and the layers build up and your tan can look mucky or dirty. 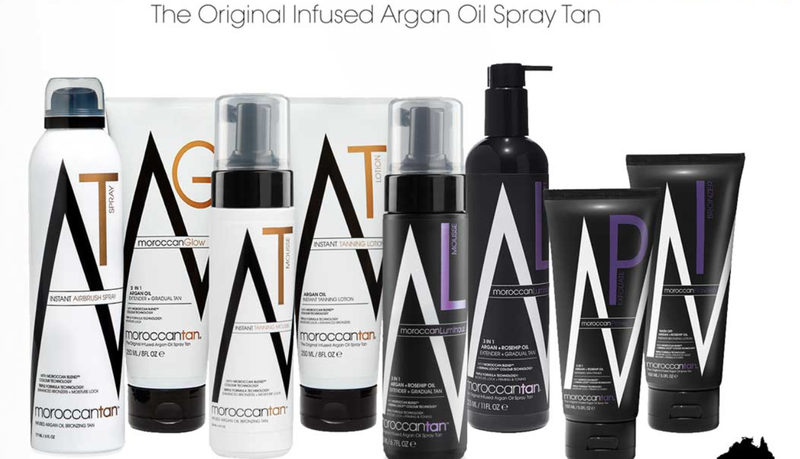 Moroccan Tan is exclusive to salons & they also offer spray tans.